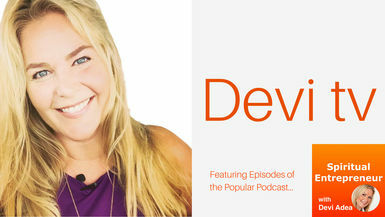 (Septemberfest) In this episode, Devi chats with Erin Burch about “Enlightenment Begins with the Body”. Erin Burch, also known as 'The Body Whisperer" and Founder of The Burch Method, quite simply, gives you your body back. If Humpty Dumpty had a dream, it would be her. Her fascination with healing took her from her roots as a Physical Therapist to in-depth yoga to reversing an impossible situation in her own body. She draws on your Body's Blueprint to create profound, lasting phenomenal results.